I can understand not fiddling with warnings at night, since awareness is lower. Look at Humberto 2007, they didn't issue a Hurricane Warning until 12:15 am, when it was practically useless. 9:30 pm is not as bad (local time) but not ideal still. CrazyC83 wrote: I can understand not fiddling with warnings at night, since awareness is lower. Look at Humberto 2007, they didn't issue a Hurricane Warning until 12:15 am, when it was practically useless. 9:30 pm is not as bad (local time) but not ideal still. BCS is on the mountain time, not Pacific. Eye seems to have become ragged. Forget 6.0 for now. Agreed. Warm enough for a major though. 1978: Hurricane Norman recurved with the remnants tracking into Southern California from the south southwest. Rainfall exceeded three inches in the mountains on this day and on 9/6. This occurred during the El Niño of 1977-78. The Angels’ home game at Anaheim Stadium against the Texas Rangers was rained out. Guys the main thing is that the super cold tops are almost completely wrapped around the eye. If that solid ring wraps and the eye warms then it will be a strong major. By September 1978, the El Nino was gone. And Norman was a bit more to the west. I like how neither the adv, nor both TWO's are out, yet it is almost 3z. GUST OF 52 MPH...84 KM/H. WITH ISOLATED AMOUNTS NEAR 10 INCHES THROUGH SATURDAY. Yellow Evan this is your storm . Woo Norbet. I hope it ONLY brings much needed rain to soCal. Kingarabian wrote: Yellow Evan this is your storm . I guess Iselle was yours Now it's my turn. Most of the SW is in a drought, not just S Cal. It just gets the most attention since one they crop crops there and two more people live their. 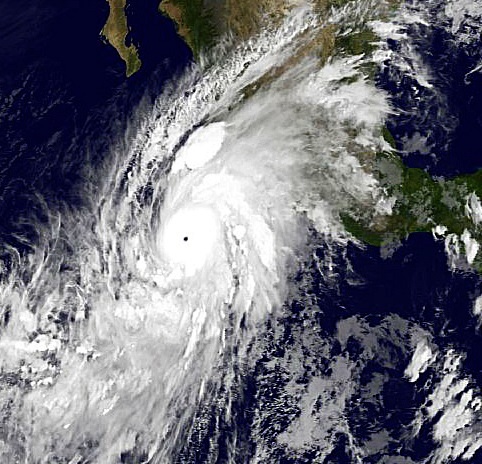 Norbert is the 7th major hurricane of the Central and East Pacific season as a whole, the most since 1997. 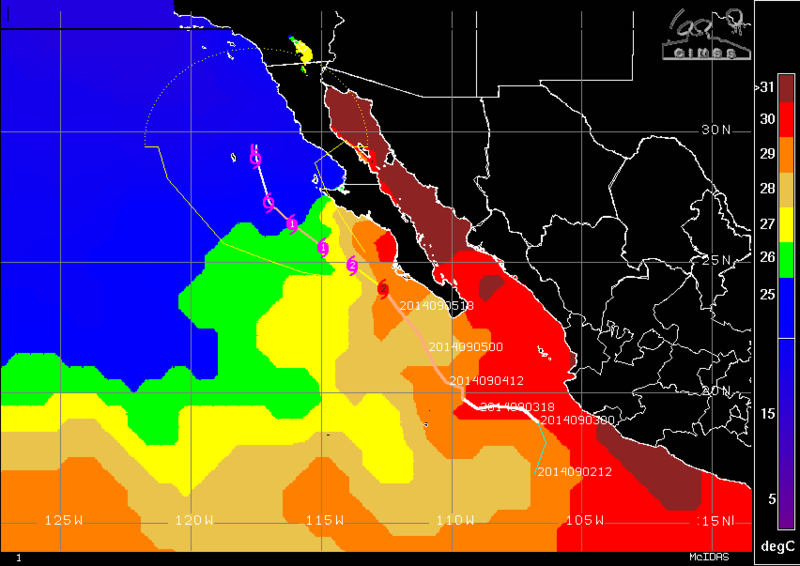 Norbert is the 6th major hurricane of the East Pacífic season alone, the highest since 1998. Ryan Maue never forecast anything beyond 85 knots. If we get our 8th major, we'd have a first since 1994.